On Friday, May 26th, the RRCA National One Mile Road Championships will be contested in Downtown Tucson, Arizona at the Festival of Miles, with $3,156 up for grabs in prize money in the Open Division, the Master’s Divisions, and the Tucson Tutu Mile Division. In addition, the winning team in the Battle of the Badges earns $300 to donate to a charity of their choice. The Battle of the Badges One Mile is a race solely for first responders in Southern Arizona, with teams from the City of Tucson Fire Department, the Border Patrol, the City of Marana Police Department, and other civil servants. At the inaugural Festival of Miles, 2016, Wes Strum ran a 4:10 gun time to take first place, while Amy Cole ran 5:15 to set the pace for the women. As the RRCA National Championship, special medallions will be award to the first man and first woman in four separate divisions: Open, Master’s (40+), Grand Masters (50+), and Super-Grand Masters (60+). The RRCA Championship Event Series if the largest grassroots organized running series the US, attracting over 320,000 each year. Featuring seven separate divisions of one-mile events, the Festival of Miles has been named a “Featured Event” in the acclaimed “Bring Back the Mile” series, founded by Ryan Lamppa. Showcasing America’s best Mile events, the Bring Back the Mile series aims to create a national movement highlighting the Mile distance. The following night, May 27th, will see the TMC Meet Me Downtown 5k Night Run, with $3,650 in prize money for top finishers, masters, team awards, and course record bonuses. Past champions include former British Olympian Andrew Lemoncello, Craig Curley, and Ian Burrell who twice ran exactly 14:37.9, and Jordan Chipengama, the course record holder in 14:25. On the women’s side, the course record of 17:06 is held by Maggie Callahan, former University of Arizona standout now running for Hudson Elite. Additional festivities on both nights include live music on the course; stilt walkers, fire show and family activities including a free entry to the Children’s Museum; the fifth annual “Food Truck Running Race Round-Up”; Amstel XLight Beer Garden; and the 11th annual after-party at the historic Hotel Congress. Hotel discounts will be available at nearby Tucson resorts and nearby hotels and motels. Contact: Contact Race Director Randy Accetta at randy@runtucson.net or 520-991-0733 for additional details on the events, elite athlete requirements, or other information. 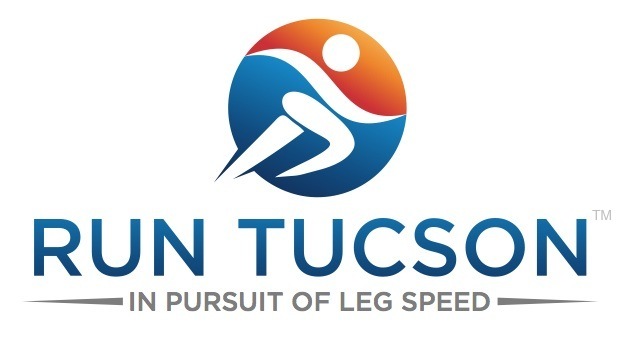 Founded by Randy and Tia Accetta, Run Tucson (www.runtucson.net) is a full service event and coaching entity producing running events in partnership with the Southern Arizona Roadrunners. With coaches certified by the Road Runners Club of America (www.rrca.org), Run Tucson manages Arizona’s longest-running coached training group, the Workout Group, founded in 1997. Since 1958, the RRCA (www.rrca.org) has awarded championship events through a competitive bidding process at the National, Regional, and State level to RRCA member clubs and events to promote the sport of distance running. The goal of the RRCA Championship Event Series is to shine a spotlight on well-run events and to award top performing runners in the open, masters (40+), grand masters (50+), and senior grand masters (60+) categories for both men and women. Arizona’s longest-standing running club, SAR (www.azroadrunners.org) is a member of the Road Runners Club of America and a not-for-profit organization dedicated to promoting health and fitness in Tucson and Southern Arizona through running and walking.